Founded by ReForest London, London's Million Tree Challenge is a community initiative to plant one million new trees within the City of London. Cornerstone Architecture has been a proud supporter of the Million Tree Challenge for many years and in the summer of 2016, Cornerstone funded and organized a volunteer group for a tree planting event to plant over 300 new native trees and shrubs in Northwest London’s Peppertree Park. London's Corporate Challenge is a team building event that raises money and awareness for The Ronald McDonald House of South Western Ontario. In July of 2012, 2013 and 2014 Cornerstone Architecture volunteered to design, construct and host a Corporate Challenge event for local corporate teams to compete in. The Alzheimer's Society of Canada's Walk for Alzheimer's is an annual fundraising event that is held in over 150 communities across Canada. Cornerstone Architecture has been a corporate sponsor for London's Walk for Alzheimer's for the past five years. 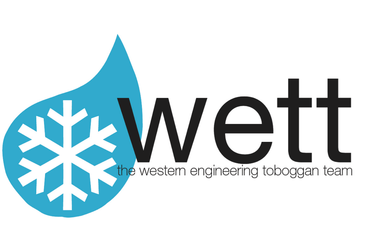 The Western Engineering Toboggan Team is a student run organization that designs and constructs a concrete toboggan to complete against other Canadian University teams in an annual Concrete Toboggan Race. Cornerstone Architecture has been a dedicated sponsor of the Western Engineering Toboggan Team for the past several years. Each year the Western Engineering Concrete Canoe Association organizes a team of students to design, build and race a concrete canoe in the Canadian National Concrete Canoe Competition. For the past several years, Cornerstone Architecture has been a Bronze Sponsor of the Western Engineering Concrete Canoe Association. Every year the Trevor Barton Memorial Foundation holds charitable softball tournaments, with all net proceeds going directly to underprivileged youth athletes. Cornerstone Architecture has participated in the tournaments since the creation of the foundation.